I’m going to give you a secret that only a handful of people on earth will ever discover. It’s so simple. Yes, there are more important things. But if you wish to lavishly support missions and gospel ministries, send your kids to the best colleges, and eat healthy food, want to travel, live in a nice home, drive a dependable car, or have a generous lifestyle you need money. Many are trying to get into the wealthy place without coming out of the mediocre room of scarcity, debt, and lack. People want wealth, but only a few are willing to come out of the place they are in their thinking, believing, praying, and their actions. Only a few will step away from everything that hinders their trip into the wealthy place. Others begin the journey and then retreat into old patterns, flinging their lives back into the prison of the mediocre room. 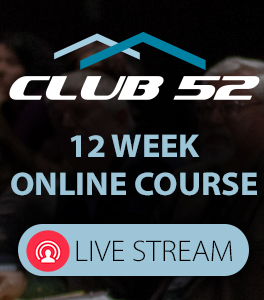 You are going to come OUT and INTO a wealthy place. I took my wife on an amazing Valentine’s vacation this year. We flew first class, I arranged for a concierge level hotel suite and spa right on that Atlantic Ocean, complete with marble floors, two bathrooms and showers, Jacuzzi, and a huge balcony overlooking the ocean. It was romantic and beautiful. Then we traveled to the Florida Keys to spend a great week with four intercessor couples. After that, I had booked another concierge level suite to enjoy a couple more days alone with my Valentine, before our flight back to Michigan. I don’t feel guilty a bit about this luxury two weeks. You see, I realized that over 65% of our family budget now is going to church, charity, and missions. When you’re living on the concierge level of life, you’re not criticizing the ones who are on the first floor. You’re not belly-aching about those who are only on the second floor. But you’re always trying to lift people up to your higher level. 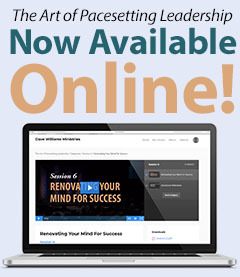 Some refuse, some resist, and others outright reject your willingness to speak into their lives. But others are grateful and begin to move up. The truth is wealth begins with a mindset. Wealth is not something you run after; it’s something you attract by getting an accurate grip FIRST on the theology of wealth (what God says about it), SECOND, the psychology of wealth (your thoughts and words), and THIRD the appropriate practical actions toward wealth. The outer is a reflection of the inner – (this is both a theologically and psychologically sound principle). Ruth attracted Boaz. Abraham, Isaac, Jacob, Joseph, and Solomon all attracted wealth. Do you think there’s something special about millionaires? Millionaires are just like everyone else with two exceptions: One, they think differently. Two, they know how to accumulate wealth. 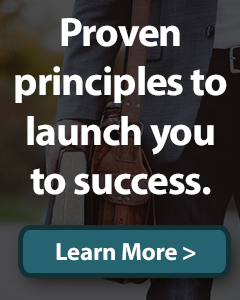 ​​​They have a unique perspective on business, money, and success that has lifted them to millionaire status, like an elevator can lift you to the concierge level of the hotel. ​​​Millionaires don’t have this unique perspective because they are rich. They are rich because they do have this unique perspective. ​​​The good news is perspective is free. Only a handful of people will ever come into the wealthy place. Only 4% will become financially independent. Only 1% will move to multi-millionaire status. Why? It all boils down to perspective. That’s the secret. You can make a living, or you can build a life and make a fortune if you develop the right perspective. The key to wealth is not money, but instead, it’s an attitude, philosophy, perspective. Unless you move, you will always stay where you are. Choose today to move out of mediocre thinking, and into the wealthy place. 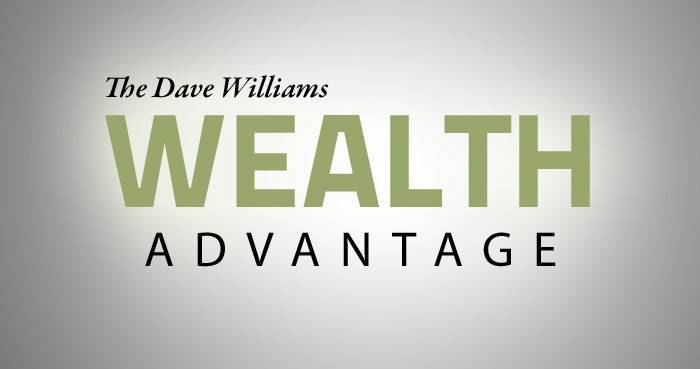 Pastor Dave… I love the wealth Advantage tips. Great job, I’m going to listen to this over and over. 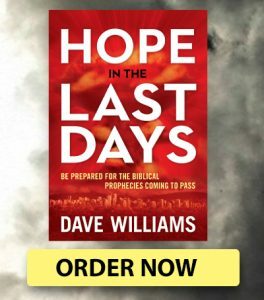 Pastor Dave I absolutely love your teachings and learned so much from you and agree 100%! 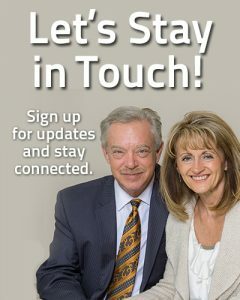 I live up in Northern Michigan in the Benzie/Manistee area and there is so much poverty and poverty mentality around here and thanks to your teachings my wife and I realized that we fell in this catagory and with God’s help we’ve changed and are now TOTALLY debt free and on our way to becoming one of the 4% who are financially free and set and then we’re GONNA move into the 1% who are multimillionaire’s!!! So keep up the awesome work GOD has you doing and I’m sure we’ll see you soon! Do practical things in the natural, too. I enjoy the introduction to Wealth. I am having this mindset and tried it. Whenever I am just on my way to live it ,something happens and I fall back to the old way of living. Please help me to enjoy the prosperity that God has intended for His children. Thank you Pastor Dave for reminding me when I fall it’s so much better when I get u and remember that place I want to be. I always knew wealth was in my DNA! But the i can’t have attitude starting in my young life because of the people I was in fellowship with! Now I know money answered all things! I know that God wants me to get the mindset of Kingdom! Royalty, benefits & Blessings! I am a citizen of the Kingdom! I can have what God says I can have! I love being a blessing!God blesses the blessed! We cannot beat his giving anyways!Pastor Dave thank you! I want to get there! I have the heart , now my mind must line up all the way! Keep me in your prayers! Thank u sir for this great teaching.Pls I need more on this. I woke up this morning with a taught in my spirit large and wealthy place..we have passed through so much fire & water are a ministry. Thanks sir, for this wonderful article. It’s very inspiring to me.